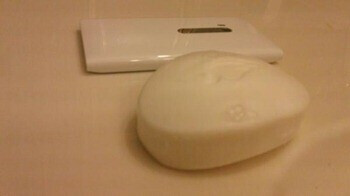 Microsoft's Ben Rudolph had received a tweet from one of his followers that showed a picture of a bar of soap lying next to a white Nokia Lumia 900. The handset was lying on its screen and the sender asked Twitter members to caption it. Rudolph thought the idea was so good that he decided to turn it into an official contest. Using the hashtag #captionthatlumia, Rudolph offered a brand new Nokia Lumia 900 to the person sending in the best caption. The winner would get to choose the color of his choice. Rudolph said he received 1,899 responses with some referring to other Windows contests (#soapedbyWindowsPhone) and one referring to the Dos Equis commercials (I don’t always bathe, but when I do, it’s with a Lumia 900). The winning caption was "It took a heck of a lot of scrubbing but I finally got all of the cyan out". Rudolph picked two runner-up winners, each of whom will receive a Windows Phone swag pack. The first runner-up read "The perfect Finnish," while the second was a haiku which went like this: "Lumia so lean, Makes bar of soap look unclean, Lumia haiku". It looks like there are quite a few people with too much time on their hand. 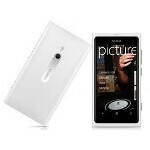 So beautiful, the white lumia. Sniff. Sounds like android, my Droid X2 is being abandoned. Is the lumia washable? and can i rinse it with water? Windows Phone 7.5 is CE kernel right ? Windows Phone 8 is NT kernel. The desktop Windows 7 was also CE kernel and the update to desktop Windows 8 consumer previes in NT kernel is possible ? I think the update from 7.5 to 8 will be possible :) (think about the official word of microsoft, saying that all current app will work, what a hint :) ).